Basketball style women's tank top. This elongated tank features hoops-inspired embossed stripes and contrast ribbing at the neck and armholes. It's made of jersey fabric for a soft feel. A big contrast Trefoil logo on the chest keeps it authentic. Basketball style jumps from the hardwood to the street with this women's tank top. This elongated tank features hoops-inspired embossed stripes and contrast ribbing at the neck and armholes. It's made of jersey fabric for a soft feel. 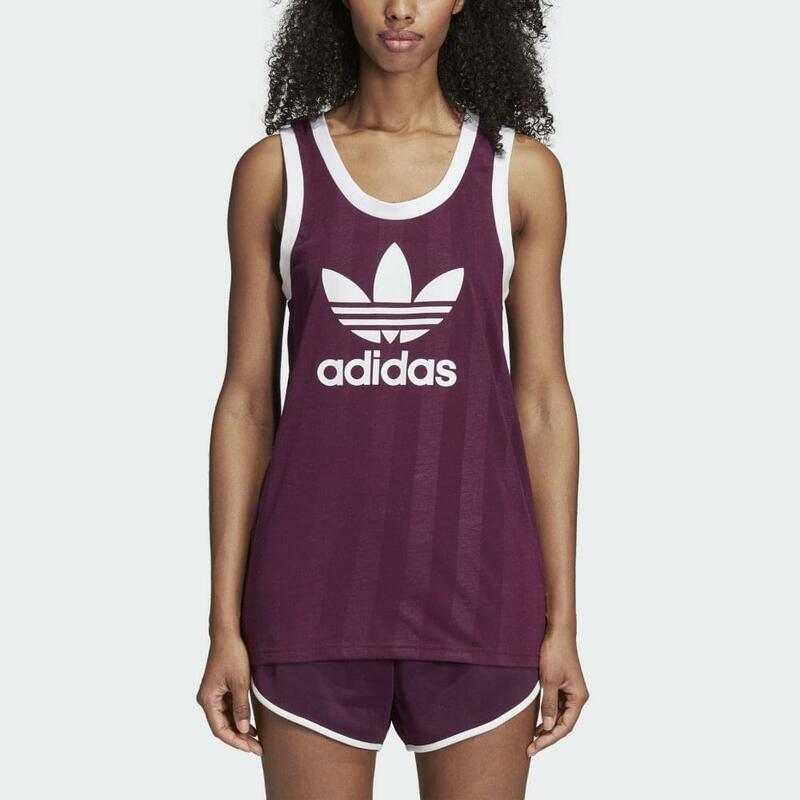 A big contrast Trefoil logo on the chest keeps it authentic.